The tale grew in the telling, as Tolkien put it. 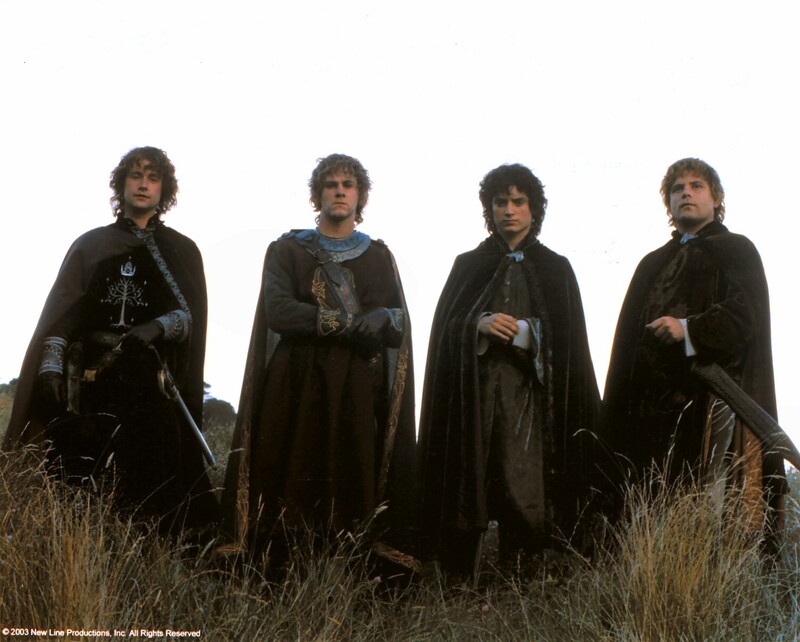 The Lord of the Rings began as a sequel to Tolkien’s successful children’s book, The Hobbit. The early drafts of the story were written in the same lighthearted manner as the Hobbit in a style quite different from the stories of the Elves, posthumously published as the Silmarilion, that Tolkien considered his real life’s work. Very soon, however, the tale took on a darker and grander tone. Tolkien’s two worlds that briefly touched in the Hobbit, came together to produce the epic tale of the War of the Ring and the end of the Elder Days of the Eldar. The Hobbit is a children’s book that adults can enjoy. The Lord of the Rings is the book for those children who enjoyed the Hobbit who are now grown up. The Elves no longer sit in trees and sing silly songs. They are the Firstborn, ancient beings of great ability and nobility who have their own sorrows. The Dwarves become the noble Khazad, the Naugrim with a fierce loyalty to kin and friends and ever willing to fight for their rights. Gandalf grows from being a cantankerous conjurer to a mighty enemy of Sauron. Bilbo’s ring of invisibility, which he used to avoid unpleasant callers, becomes the One Ring, whose wearer can obtain absolute power, at the cost of his soul. The Hobbits also grow in the course of the story. Bilbo Baggins began as little more than baggage at the beginning of The Hobbit., but emerged as a great hero by the end. 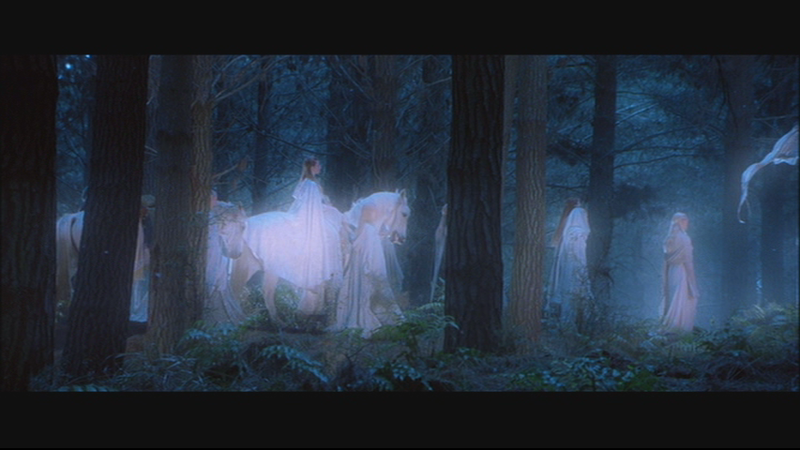 Frodo and company are less helpless in the beginning of the Fellowship of the Ring, but they still need rescuing. 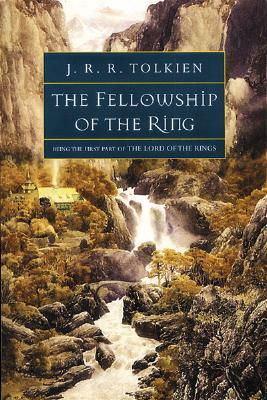 The Hobbits are decidedly minor members of the Company of the Ring, at least until the end of the first book. . By the end of the story, they have grown great enough to stand with the wizards and warriors, yet their humbler perspective continues to be essential in bringing the story to the level of the reader. The Lord of the Rings told from the viewpoint of Gandalf or Aragorn would be a different, and more remote story. Tolkien always disavowed any connection between the events in the Lord of the Rings and the real life events that occurred during its writing. I am not sure that I believe him. Tolkien did not consciously model the War of the Ring on World War II and Sauron was not based on Hitler, but I cannot imagine that a writer’s life experiences wouldn’t have great influence on his writings. In Tolkien’s case, there seem to be certain themes in the Lord of the Rings that must have been based on Tolkien’s own experiences in in both World Wars. One theme repeated several times in the Fellowship is that it is the small and humble who do the real work of saving the world while the great have their minds on other things. While the elves, wizards and warriors fight desperately to save Middle Earth, it is the insignificant Hobbits whose acts of heroism save the day. The Hobbits do not want to be kings or win glory in battle. They do not really want to be the ones to save the world. All the Hobbits want to do is their part for Middle Earth and then go back to the Shire. As Sam might put it, they have a job to do. Surely, Tolkien based his Hobbits on the common British enlisted men who served under him in World War I. The generals and statesmen made great plans for reordering the world, but it was the courage of the ordinary soldiers who won the war. There is also a deep sense of loss that pervades the Lord of the Rings. This is not so apparent in the Fellowship of the Ring, except in the chapters dealing with the elves, especially in Lothlorien. This feeling of loss, that much that is good in Middle Earth must pass away even if Sauron is defeated becomes especially poignant in The Return of the King so perhaps I should discuss it more in a review of that part of the trilogy. This feeling of loss, even in victory, must come from Tolkien’s own experiences. In both world wars, Britain was victorious over German aggression, the good guys won, but after both wars Britain and the world was forever changed. In some ways, this change was for the better, yet much that was good about the prewar world was gone forever. By the time the Lord of the Rings was published in the 1950’s, Tolkien might well have felt like one of his Eldar, living in a world that was no longer his. The Fellowship of the Ring, then, is more than simply a fantasy, but a serious, though fun, story dealing with serious themes of plot and characterization. I am convinced that the Lord of the Rings will be one of the few books from the twentieth century still read centuries from now.